Calling all citizen scientists near Boston! 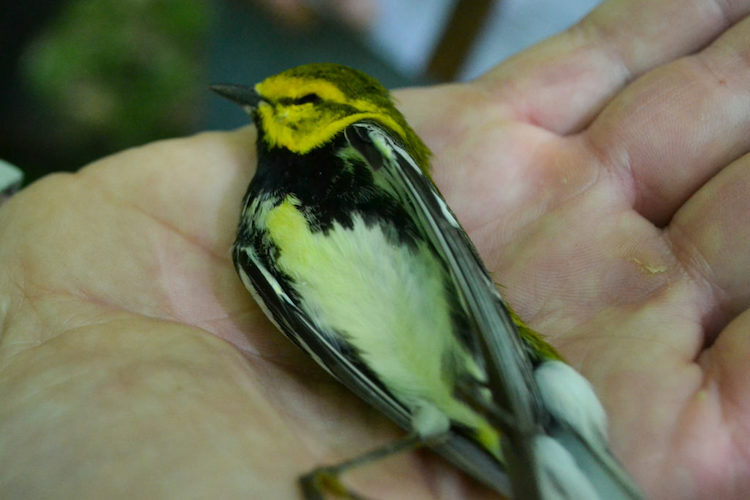 Mass Audubon needs your help monitoring an underappreciated threat to migratory birds: window collisions. We’re looking for volunteers to collect data on bird-building collisions and rescue birds that survive a strike. 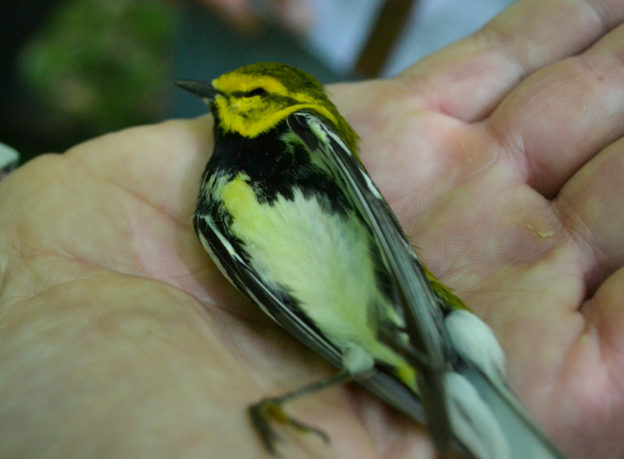 A Black-throated Green Warbler that died on migration from a window collision. Window collisions are a surprisingly significant source of bird mortality in the US, causing several hundred million casualties annually. Birds struggle to distinguish reflections from reality, and often strike glass windows that reflect the sky or nearby greenery. City lights also confuse night-migrating birds, which use the stars to navigate, and which often land near sources of light pollution. Many window strikes occur as birds try to re-orient in the morning, after being drawn in to an unfamiliar concrete jungle. The Avian Collision Team (ACT) is a new volunteer initiative to get as much data as we can about building strikes in Boston. We want to understand the scale of the problem in Boston, where the trouble spots are, and which species are most affected. The program runs from April 13–June 4. Volunteers need to sign up for 1-4 weekly shifts, Saturday–Tuesday, from 8 am to around 9 am. 1. Monitoring volunteers who will walk predetermined routes to collect deceased specimens, fill out data sheets, and occasionally rescue live birds. 2. Transport volunteers who can pick up specimens from monitors and bring them to a collection site at Harvard. Drivers will also bring occasional injured, live birds to Tufts Wildlife Clinic in Westborough as needed. Similar programs have shown that in parts of some cities, there are practically no casualties. In others, certain buildings can kill a dozen birds a day during peak migration. Scientists have developed guidelines for what makes buildings especially dangerous to migrating birds, but they’re still pretty rough. The best way to know where and to what extent there’s a problem in Boston… is to check! If this sounds interesting, sign up here! This entry was posted in Citizen Science, Conservation Issues and tagged window collisions, Window strikes on March 19, 2019 by William Freedberg.